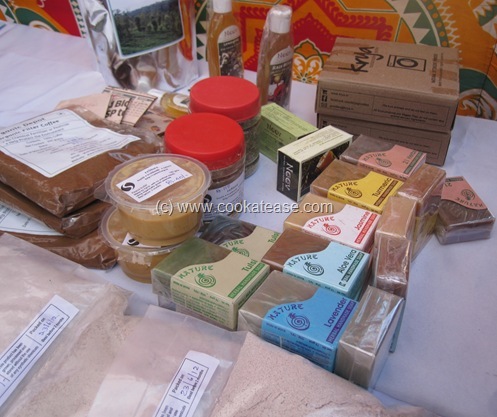 Organic peanuts, pure palm sugar, amla candy, organic food supplement for children, organic brown rice etc., for sale and display. 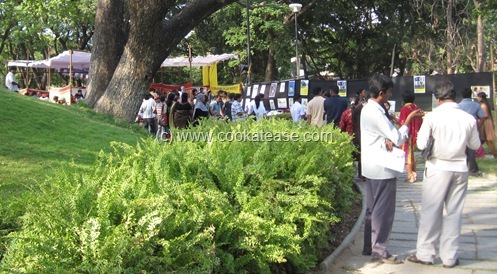 Greenpeace stall on Genetically Modified foods. 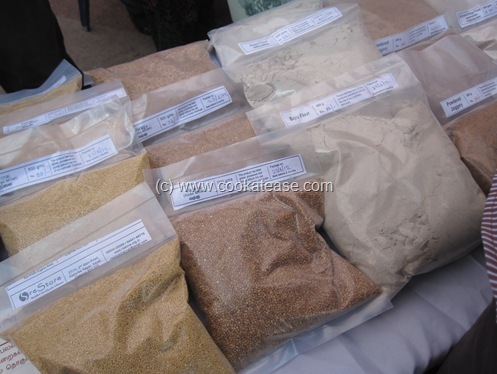 Varagu (kodo millet), bajra flour, powdered jaggery, sprouted ragi flour, thinai (foxtail millet) etc., for sale and display. Organic filter coffee, herbal tea, peanut butter, handmade herbal (tulsi), turmeric, aloe vera, jasmine soap etc., for sale and display. 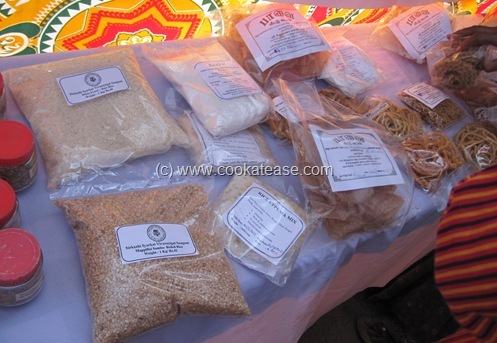 Mappillai samba boiled rice, rice upma mix, white ponni raw rice, organic traditional rice flour, homemade fryums, snacks etc., for sale and display. 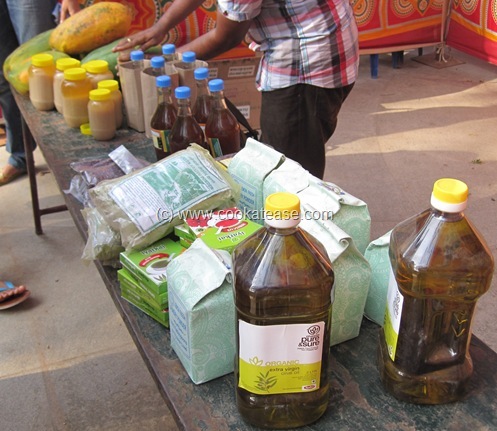 Organic extra virgin olive oil, green arappu powder, lemon fresh laundry powder, herbal (amla, hibiscus) soups, papaya etc., for sale and display. 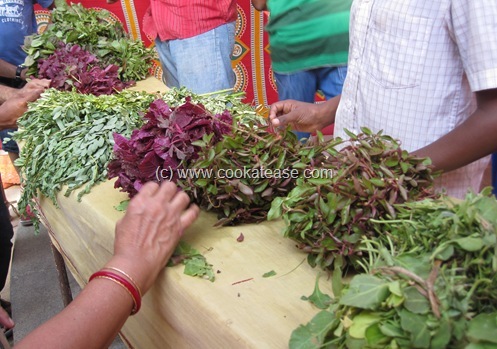 Variety of pesticide-free greens for sale and display. 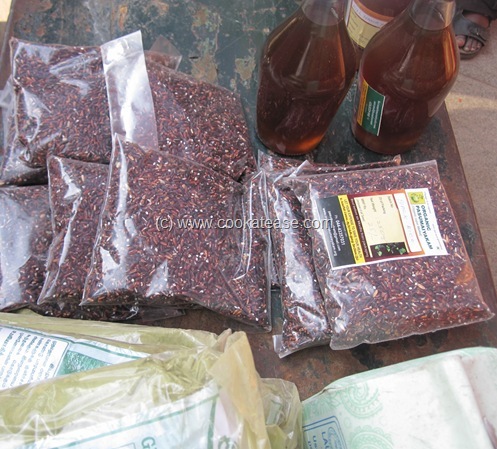 Brown/black rice, hill honey for sale and display. 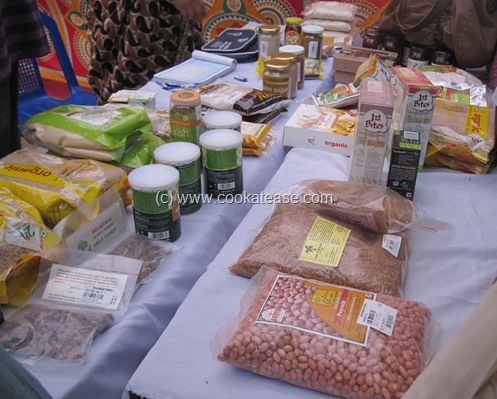 Organic idli podi, organic chilli, pepper flavoured roasted peanuts, cashew nuts, other snacks etc for sale and display. 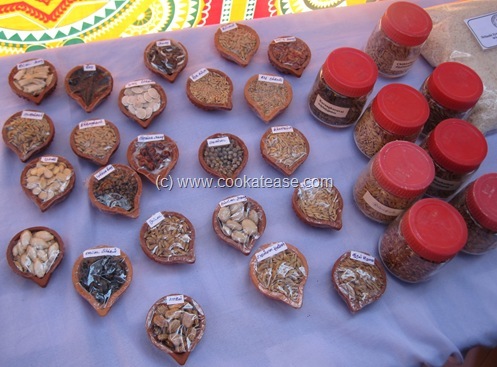 Variety of seeds for display and sale. 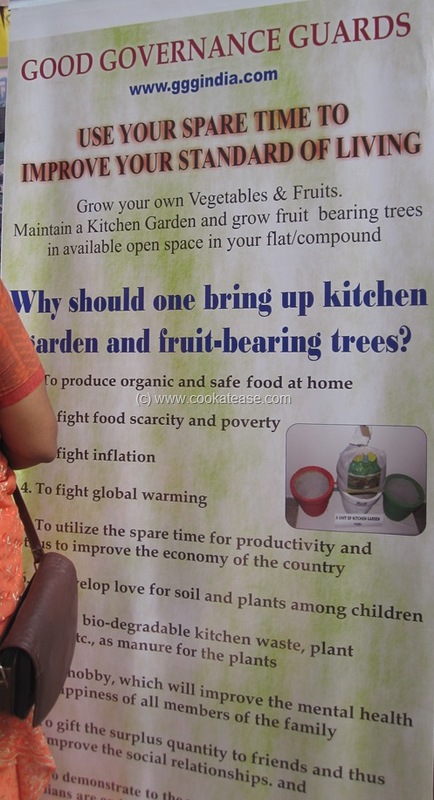 Spend your time to produce organic safe food in your kitchen, terrace garden. Hey hi!!! i love your posts…btw, is this mela still on??? No. 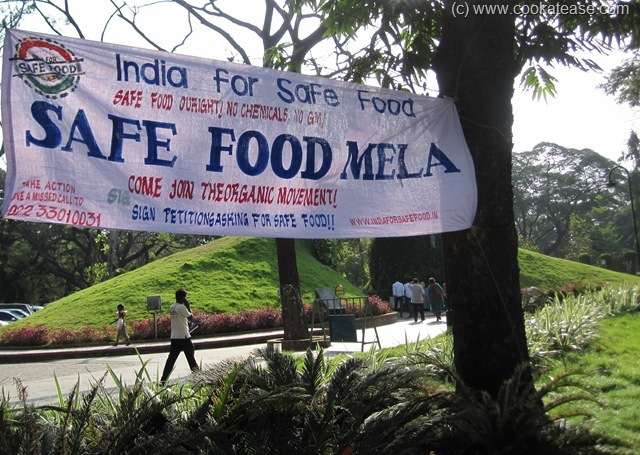 Mela was from 03:00 PM to 07:00 PM only on 24 July 2012. My sincere thanks to all your recipies. 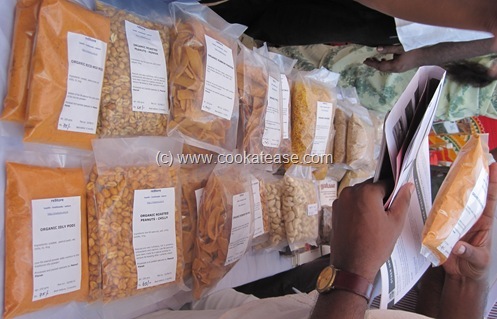 Do you have the list of shops selling siru dhanyam, which were distributed in this mela? If you have the recipies also please send them. how to process it at home ourselves so the nutrients are in tact unlike machine processed ones and how it was eaten unpolished traditionally?